We approach the sterilization of our equipment, treatment rooms and supplies very seriously. Gloves, masks, and coats are worn by all clinical personnel. We use disposable products whenever possible. 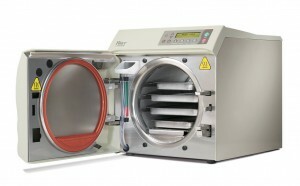 Instruments which are not disposable are sterilized in a steam-pressure autoclave. Our sterilizing equipment is tested weekly to make sure it operates at an optimal level. Our patients deserve, and can see, all the effort!